Confused yet? You're not alone. Anybody watching the three men at today's Dreamliner news conference might have felt like that they were listening to that country & western song in which a husband still trying to defend himself after being caught with his mistress asks his wife, "Who are you going to believe, me or your lying eyes?" Over the past few months anyone paying a modicum of attention has seen Boeing's game-changing 787 fly from one problem to another until this week when, in a crescendo worthy of a Japanese horror film, there were four unfortunate events including a battery fire on the tarmac at Boston's Logan Airport that - had it occurred in the air - could have been a disaster. 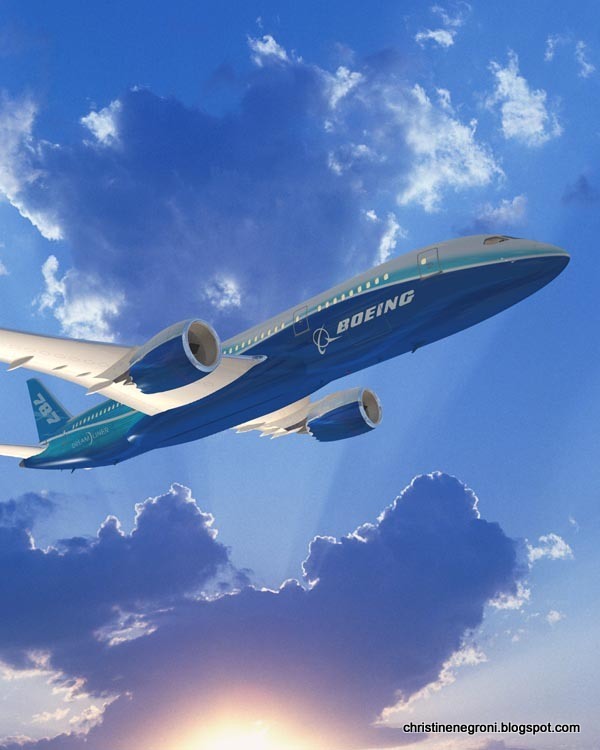 So I was not surprised when, in my inbox Friday morning, there appeared an announcement from Boeing that the U.S. Secretary of Transportation Ray LaHood would be launching a comprehensive review of the world's newest airliner. What did surprise me is how this momentous occasion featuring Sect. LaHood, Federal Aviation Administration boss Michael Huerta and Boeing CEO Ray Conner was successfully spun into a ringing endorsement of the airplane. As if the three of them weren't gathered before the television cameras because all recent evidence seems to indicate precisely the opposite. First, Huerta says, "there will be a complete review of the airplane's design, production and manufacturing with the electrical systems getting the highest priority," then barely taking a breath, he goes on to say, "nothing we have seen leads us to believe the airplane is not safe." Nothing? Perhaps Mr. Huerta didn't see what the National Transportation Safety Board investigator saw in Boston earlier this week. On his knees, with a flashlight in the aft E&E bay of Japan Airlines's 787 a smoldering hole where the battery used to be. Three investigators have been assigned to explore what happened and why. I have been told by two people in the know, that had this fire happened in flight, rather than while the airplane was parked at the gate, it could have caused the plane to crash because the flight systems are electrically controlled and the airplane gains some of its fuel efficiency by its inherent aerodynamic instability, an instability that relies on constant flight correction via electrical input. I'm not even going to pretend I understand the redundancies in power supply and distribution on the Dreamliner. It is new, it is novel, it is revolutionary, all adjectives used to much success by Boeing to sell this airplane to its customers around the world. "Every new airplane has issues as they enter services," Boeing's Conner said. But the process leading to the certification of this plane was "the most robust in the history of aviation," he added. I won't quibble that point, but after all, make an airplane with this many new features and you are flying into uncharted territory. The downside of novel designs is that without experience, one can't claim expertise. The engineers from Boeing, and the engineers from the FAA can't know what they don't know which is why it makes sense to go back and re examine every step along the way to certification and how the plane is performing now and what's gone wrong. I invite you to compare the DOT/FAA's decision to re study the Dreamliner while it still flies with the decision of regulators in the days after the near-disaster on Qantas Flight 32. When the largest passenger jet in the world underwent an uncontained engine failure in November 2010, all Airbus A380s with Rolls Royce Trent 900 engines were grounded to give safety folks time to catch up on what was going on and assess the safety risks. The G-word wasn't mentioned at Friday's news conference. What was heard - repeatedly - was statements endorsing the safety of the plane. This is at cross purposes with the goal of the review. How can the people who originally certified the plane give the work its proper skepticism if before the first new question is asked, the top dogs are already insisting there's nothing wrong with the plane? That sales talk is to be expected from Boeing. but the traveling public deserves more than comments from LaHood that he's willing to fly the Dreamliner. 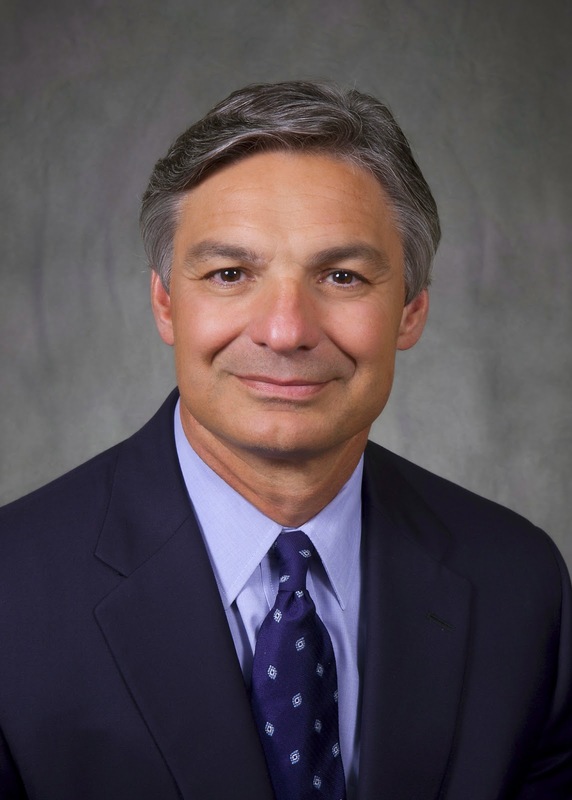 Is he, is Huerta, and are the agencies they control willing to review their earlier decisions with an eye toward making the 787 a better plane? Because that's what is needed - that and a lot less spin from the men at the top. The 787 cert process may have been thorough but it's tough to replicate the countless little idiosyncratic nuances that arise in scheduled service. 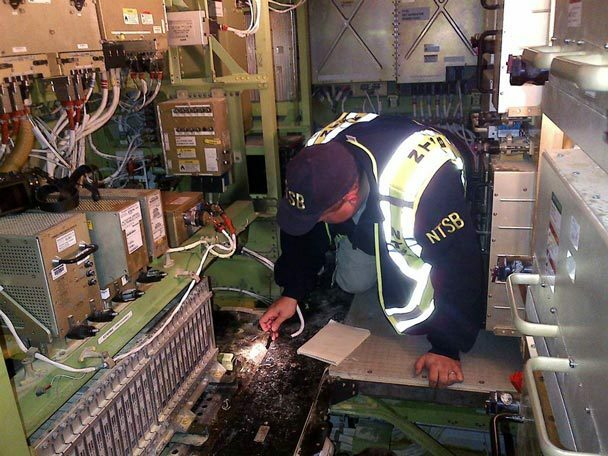 Years ago, mechanics at a major international carrier were mystified by damage they kept discovering underneath galley wall panels. Then they learned, quite accidentally, that F/As were bashing bags of ice against the bulkheads to free up the cubes that had stuck together. They did this because the company was "saving money" by no longer issuing the little hammers the F/As previously used to break up the ice. Of particular concern with the 787 is the battery fire. Without that I might support the "fly and fix" strategy. But the memories of Swissair 111 make temporarily grounding the 787 the right thing to do. I'm sure anyone old enough to remember the DC-10 and how many people paid with their lives for its "growing pains" might agree. Aviation has a very bad habit of ignoring the lessons of history. Let's hope Boeing and the FAA don't write another chapter in that sad narrative. Bugs in new aircraft are expected and the norm. Besides, this is a Lithium Ion battery problem that will be corrected. Good FAA and manufacturer practices are in place and working. Remember the past: new aircraft used to crash before we figured out major problems. Now, they're built better, tested better and made safer. CN was absolutely correct when she wrote: "The downside of novel designs is that without experience, one can't claim expertise. The engineers from Boeing, and the engineers from the FAA can't know what they don't know...." Historically it has been decisions made despite "Unknown Unknowns" that have precipitated major disasters. Unfortunately, Anonymous fell into the trap of neglecting to account for Boorstin's "Illusion of Knowledge." I daresay that there is a large population at both the FAA and manufacturers who don't know what they don't know. Christine, I am a regular reader of your blog and I enjoy most of what you have to say. But this latest post comes across as sensationalist and hysterical. What's with "...a smoldering hole where the battery used to be"??? Are you implying the battery burned through and left a hole in the floor? That is certainly not the case and there is no need for any fear-mongering. Please stick to objective journalism. This sensationalist BS is way beneath you. Hi @joechin13, Thanks for your comment. I'll take the criticism for my characterization, but really, here is what the NTSB said: "the auxiliary power unit battery had severe fire damage" and there was "thermal damage to the surrounding structure." @joechin13 makes a good point and so do you Christine. I would ask that folks wait until the source of the "battery" problem is disclosed before they opine too critically. In the case of Flight 32 there were holes in the airframe, but the airframe was not the problem. The battery may not be the problem, possibly some other component or manufacturing process is. Asking questions is easy. Providing answers is much more complicated, especially when one does not have all the data. The 787 is a radically new design and it is hard for most people to embrace and or understand new things. It's ok to be concerned, but not to fear monger. Would any airline Captain fly to/from Asia to the US wondering if the battery of his/her airplane was going to catch on fire over the Pacific. I think not. There is no conspiracy to put people in danger. I see advertisements for drugs on TV and afterword listen to the potential side effects. I think they are potentially worse than the disease. Why would anyone take this medicine??? Maybe people should stop taking their cholesterol and asthma meds. What do you think??? There a lot of good points that have been made, both in this article and in the comments, and the media has indeed been rather hysterical over this issues that have been plaguing the 787. I don’t think anyone disputes that every single one of these issues are serious, need serious attention and have to be handled transparently. On the issue of testing, I have to agree with BlueSky. Test plans conceived by any aircraft manufacturer, and approved by the FAA are highly specific and controlled - by design. It’s not possible for every nuance of a new plane to be tested. 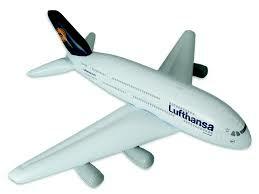 If you want proof of this, take a look at the Airbus A380. How long was that plane in service before wing cracks became apparent? Airframes take time to “settle” and when they do, sometimes issues come up. The comment about the “unknown unknowns”, or that Boeing and the FAA “don’t know what they don’t know” is somewhat misleading. Of course the statement is true because we don’t know what we don’t know, but we do know a lot about almost all of the technologies used to build a 787. Very little of the technology that’s gone into the 787 is poorly understood in this day and age. These are technologies that have been tried and tested in various other applications, with their pro’s and con’s well documented. We know that carbon fiber composites are incredibly strong and flexible. Composites have been used in aviation for a long time now. We know that Lithium Ion batteries are flammable, yet they’ve been proven to be incredibly safe to use in all sorts of applications. What’s innovative about the 787 more than anything else is the design choices that were made that saw more of these known technologies being put together in an aircraft package - that’s something we haven’t seen before, or at least not at the same level of integration as with the 787. Should the 787 be grounded? Possibly. As was pointed out Christine, the entire fleet of A380’s fitted with Trent 1000 engines was until engineer and regulators felt that the fleet was safe. But in the case of cracks being discovered in wings for A380’s, Airbus and the safety regulators had a very similar stance to the one Boeing and the FAA are now taking with the 787 - assurances that the plane was safe to fly. Some airlines did choose to ground some of their planes with the cracks in the wings, but that was by choice rather than regulatory edict. Knee-jerk reactions are not what we need. Accusations that Boeing and the FAA cannot be objective based on their prior and continued endorsement of the plane seems a stretch - neither Boeing nor the FAA can afford to be complacent, and if they felt the issues warranted it, cool heads would prevail and they’d make the call to ground the fleet - it may still happen. Understand that much of what we read on the internet and see and hear on TV is sensationalist by design, and the motivations behind sensationalist reporting are not the fair or proper reasons to call for grounding an entire fleet of planes. It's not surprising that La Hood and Conner were so vocal about the airplane being safe - anything to the contrary means the aircraft doesn't meet the legal requirements of "airworthiness": In compliance with its type design (type certificate, STCs and ADs) AND safe to operate. Airworthiness is required prior to movement of an aircraft for the intent of flight. Not knowing the airworthiness state of an aircraft is "per se" not airworthy. Statutory law and civil law (case law) have defined the rules. So any short of "nothing we have seen leads us to believe the airplane is not safe" would legally required operators to ground the aircraft. Now in my opinion - prudence dictates some caution - such as limiting or reducing the ETOPS range, until additional information is discovered and causes are confirmed. Its one thing to have an in flight fire less than 30 min from bingo - its something else 330min from bingo over the Pacific or Indian oceans. Bravo Christine, you are on the nail here. And the spins are getting flatter and flatter... even on this blog. Had I been the CEO of an airline THAT HAD A BATTERY SHORT CIRCUIT and meltdown on a new type - man that type will be grounded, and the manufacturer called in as an "observer" while I do the investigation and not him and the FAA. To pooh-pooh an electrical mishap as serious as that is courting disaster. All the comments above referring to "it happens in all new aircraft" (or words to that effect) are completely off the mark regarding pre-emptive safety management - which is exactly what FAR 23/25/27 is about,is it not? Boeing seems to be non-compliant here. To hear the FAA boss IN DEFENCE OF A MAJOR CONCERN is disconcerting to say the least. There are always tough decisions to make. Grounding the 787 while a review of the project is undertaken would have very serious financial and economic consequences. Continuing to allow the aircraft to operate and experiencing the loss of an aircraft with the lives on board would be a serious consequence as well and would come accompanied by financial and economic consequences worse than a precautionary grounding. Regulators and manufacturers feel the weight of all of those potential consequences. Few people have the knowledge that the people inside these institutions have. I'm pretty well informed but I don't feel that I know enough to second guess Boeing and the FAA on this. If there are knowledgable people inside the manufacturing and regulatory community who disagree with these decisions, they will go public ... or not. EVERYONE involved knows that the incidents that have been experienced are making people wonder; that's part of the pressure equation. Speculative articles like this mean absolutely nothing but they reflect the public response. Sometimes the guys in the castle are making a monster. Sometimes they're inventing the cure for a horrible disease. If you live near, on, or in the castle, you get nervous. Should you whip up a crowd and light some torches? The more you know, the more you know what to do. Neither Negroni, you, or I know exactly WTF is going on in the castle. Remember that the FAA's mandate is to regulate and support aviation ... both. They want to make sure that there's no horrible accident but they want the 787 to be a success: it's good for the economy. Don't expect that they won't balance risk. On that, I have to ask myself what I've read about the detail of NTSB involvement. They're the guys with the pure safety mandate. Come on Walt! We are talking about survival here! If there were even the faintest sniff that Boeing and the FAA might have been complicit in allowing the 787 to continue to operate, against the dictates of their mandate to ensure safe, regular and efficient public air transportation, prior to the planting of a 787 with all on board, they could then all pack up and go home! Boeing will be fighting for it's life, the FAA will begin to eat itself and hope to regurgitate a replacement that is acceptable to the travelling world- and what remains of a functioning Administration! The loss of a 787 and 2-300 people might just qualify as slightly more than a 'serious consequence', under the circumstances, don't you think!? 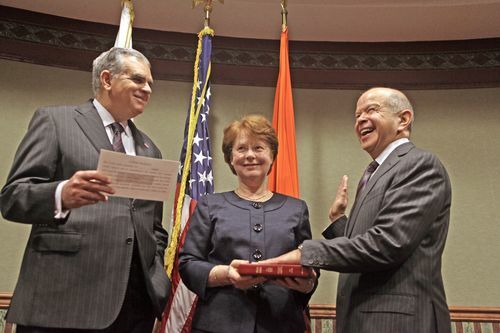 Having regard for the complete 787 saga, the 'dog and pony show' put on by LaHood, Huerta and Conner was nothing less than a band-aid attempt to fix, with words, the comprehensively broken and an insult to the collective intelligence of the travelling public, the industry - and themselves. Walt, we know that the Regulator will balance risk. I don't believe, however, that this is a scenario in which the FAA can afford to do other than play it down the line. Wielding the sponge in Boeing's corner is not going to help fix this problem. We had better hope that cool heads will choose, in your scenario, to 'go public' with their disagreements, rather than fade. Andries has it right, Anonymous is missing the point. Perhaps the three wise men should be the next to appear on Oprah. Lance is done. If it were thew Lithium batteries that failed, we can hardly call; that unforeseen. Lion batteries depend on electronics to protect cells agains overloading; without that protection 1% too much charge and the battery (may)ignite and possibly explodes. The number of accidents with exploding or burning batteries are frequent. I wonder if the cell-charge circuits haven been subject to EMI testing. There are Lion batteries (LifePo4)available that are inherently safe, at the cost of 30-50% of weight and volume.